He’s been credited by one patient for giving her a new lease of life – whilst he has helped others to walk once again, when they had lost all hope. For Kiran Bassan works as a musculoskeletal physiotherapist, based at City Hospital, and he is dedicated to rehabilitating patients who have suffered devastating injuries. The 27-year-old explained: “I see a lot of patients who have initially come in with a very poor prognosis and have essentially given up all hope. He recalled: “One patient played football and had suffered a torn ligament in his knee and had just undergone surgery. He was really angry and didn’t understand why it would take so long for him to regain his mobility. “He was signed off for six months and it was my job to get him back to doing the day-to-day activities he was able to do before the injury. “I worked hard with him, and was able to calm him down and get him through the rehabilitation process. He’s since been discharged and is doing well – he’s even playing football again. “We see this a lot and there are also amputee patients who we help to walk again once they’ve been fitted with a prosthesis. A typical shift for Kiran involves seeing patients in a one-to-one setting, but also taking exercise classes. It’s no surprise to learn that outside of work, Kiran is very much into his fitness – and will in fact be competing in his first body building competition in April in Lichfield. The gym is also where he goes to escape from it all. “I’m in the ‘Men’s Physique’ weight class,” he revealed. 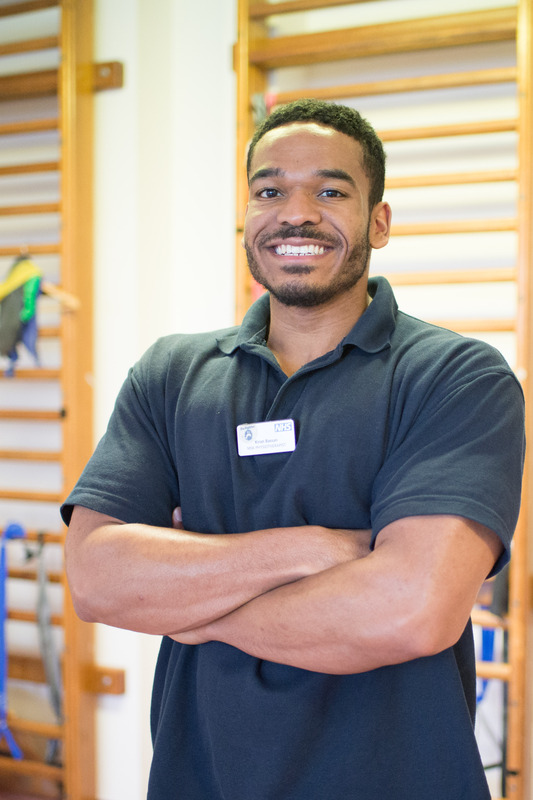 “I think my interest in fitness steered me into the physiotherapy route and I’m very passionate about both things.